Who does not love orange? Besides banana , orange is one of my favorite. The sweet citrus taste of this fruit is really one of a kind. It’s also quite cheap to buy making it very easy to get. 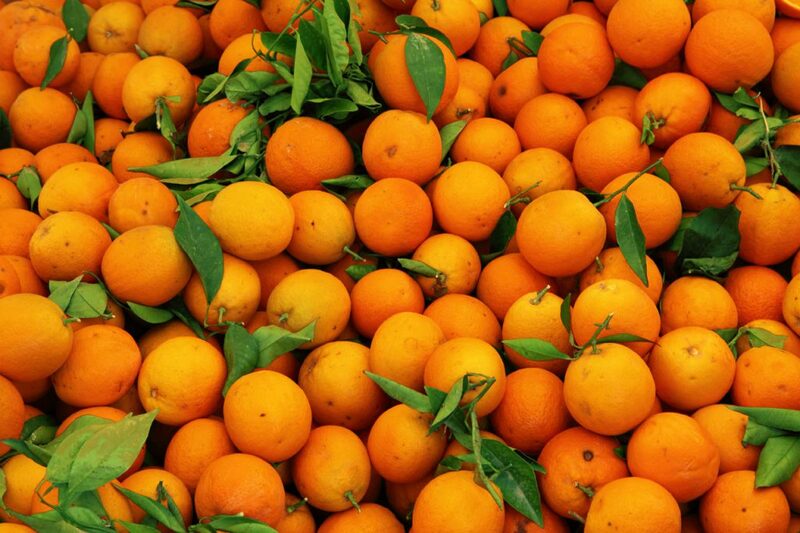 It is famous for having a lot of Vitamin C. But do you know the other health benefits of orange? And do you know how easy it is to incorporate oranges into your daily diet using smoothies? 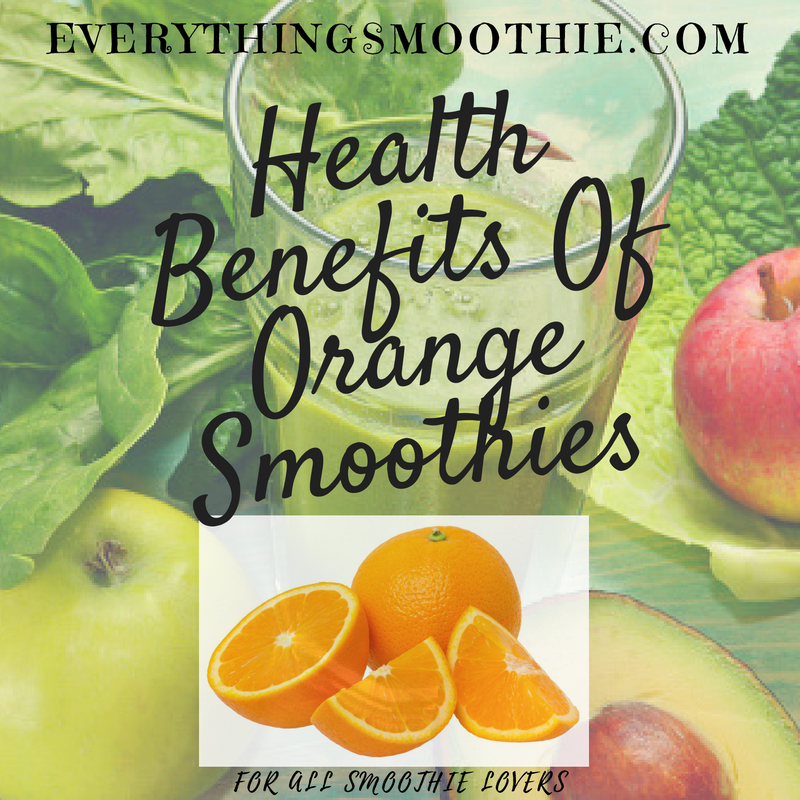 Here, I’ll show you the wonderful health benefits of oranges as well as some smoothie recipes for you to try at home. The nutrients above are listed according to their percentage of Recommended Dietary Allowances (RDA) taken from here. As you can see, orange is a bit of an imbalanced food in terms of nutrition. It has huge amount of Vitamin C (about 69 mg or 93% RDA), but lesser amount of other nutrients. It is not a bad thing mind you. 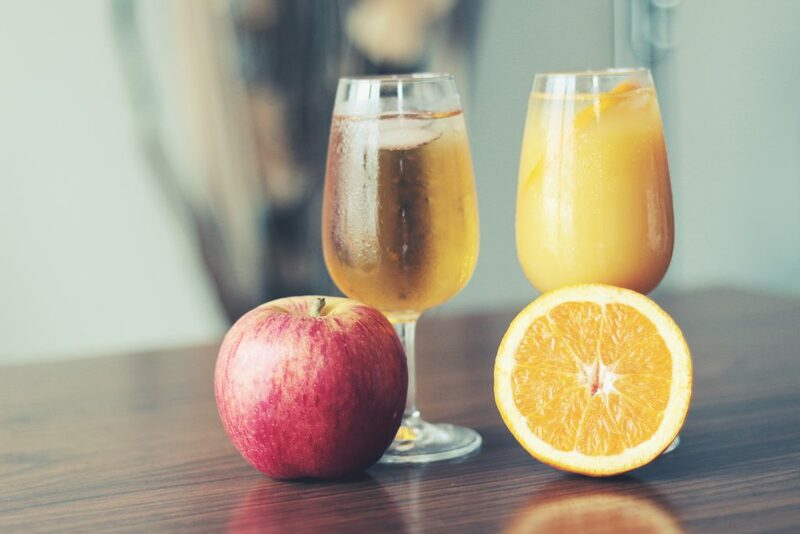 Other fruits has modest amount of vitamins and minerals but orange has a huge amount of Vitamin C, while the others are about average amount in a fruit. This unique characteristic is why orange is the go-to fruit for Vitamin C. Apart from that, one of the reason why I totally recommend to include leafy green vegetables in any smoothie is to complement the average amount of nutrient in fruits. The huge amount of nutrients in vegetables such as kale and spinach will boost the nutritious value of the smoothie while the fruits will increase its taste. Vitamin C is well known as a potent anti-oxidant. Not only that, inside oranges are many phytonutrients that have the same anti-oxidant properties. These phytonutrients generally can be found in the peel and the inner white pulp. So these are the added benefit of making an orange smoothie versus making a juice as the pulp can be consumed fully. Anti-oxidants are important to keep chemical reaction in our body in check. Excessive oxidation activities by free radicals molecules are some of the possible causes for many diseases such as cancer cell growth, DNA damage and eye damage. Eating a diet full of sugar, fat and fried food are related to and increase in these oxidative damage to cells. Anti-oxidants are helpful to help reduce these damages. But, don’t treat these anti-oxidant as a cure to your health problems. Cancer risks are still high if you are still eating those unhealthy foods. I totally recommend a holistic healthy diet to make sure you are giving your body the best nutrients it needs for your own health benefit. Besides that, Vitamin C also helps to prevent inflammatory conditions such as asthma and osteoarthritis. This can be attributed to its anti-oxidation nature. It can also prevent oxidation of cholesterol in our blood vessel, and thus helps to prevent build up of plaque on artery wall. Another important role of Vitamin C is to help produce collagen. For those that don’t know about it, collagen is a very important protein in our body that make the framework for skin and bones. Perhaps you would remember the scurvy disease that affected sailors in the 18th century. Those poor sailors are malnourished for months during their long voyage that some of them developed scurvy – a condition where those affected lose teeth, bleed easily, has swollen gum and lose bone strength. It was found out that the condition is related to a diet that was deprived of foods with Vitamin C. This is a classic and important real life event on the importance of Vitamin C.
Fortunately scurvy is very rare nowadays except for malnourished and famine areas (think Africa…). Another important usage of collagen is to help with maintaining an elastic and youthful skin. Now please remember to eat at least one orange per day girls. Like Vitamin B6 in banana , Vitamin C is also needed to make neurotransmitter. These are very important substance that transmit brain waves throughout our body and brain. Not only that, Vitamin C also is needed for Serotonin, a hormone that have many role in body systems. It is uses for nerve system, endocrine system, immune system, sleep cycle and managing stress. Without this hormone, our lives will be in a wreck! Another great thing about oranges is the high amount of fiber in it. Inside a medium size orange, there are 3 mg of fiber or about 13% of RDA. Fiber is abundant in fruits and vegetables. It is responsible to keep our blood sugar level under control. It also helps to reduce high cholesterol level by dragging LDL out from our blood. Not only that, it will help with bladder movement to keep our intestines clean and ensure optimal nutrient absorption there. A benefit from eating oranges that not many people know is improving our eyes’ health. 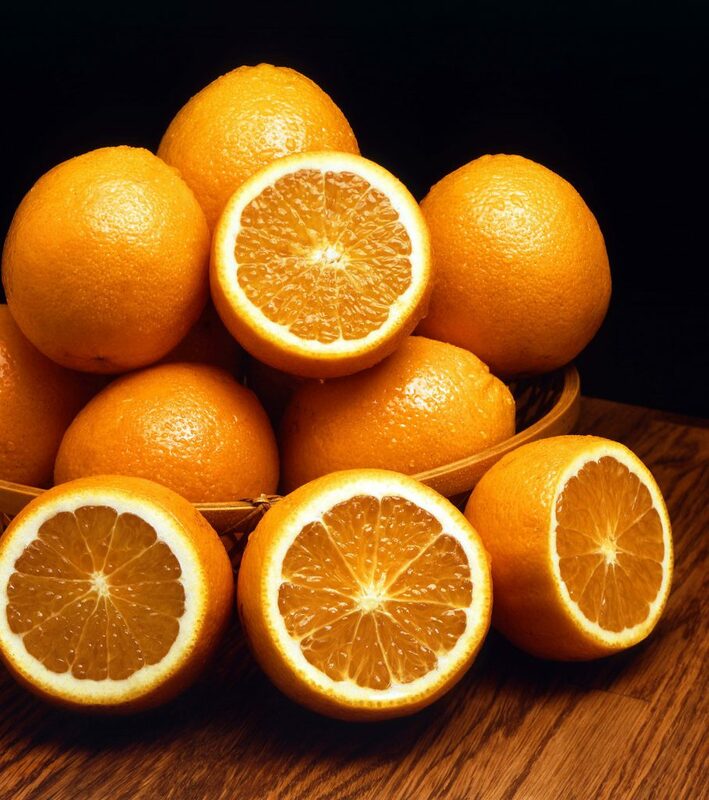 Orange’s high Vitamin C content reduces the risk of cataracts. It also helps slowing down the progression of macular degeneration. Enough about the health benefits of oranges. Now, I’ve compiled two delicious smoothies based on orange for you to try. Orange, lime, lemon and kiwi? A total anti-oxidant and Vitamin C smoothie to kick start your immune system. One useful tip is to try out the oranges and kiwi first to know if they are sweet or not. If they are bitter, then more honey is needed. Peel off all of these citrus fruits. Cut and put them into a blender. Put some water to assist in blending and blend until smooth. A very simple fruit and vegetables smoothie using orange, banana and kale. You won’t believe how much nutrient this simple smoothie can has! Peel and cut the ingredients. Put all of them into a blender with some ice to cool the smoothie. Blend until smooth. Do You Have The Right Blender? Fruits are softer than a leafy green vegetables and can be blended pretty easily. But if you ask me, a high performance blender with a powerful motor (more than 1000 watt) is more preferable than a normal blender for a smooth delectable smoothie. Check out these blenders that will give you that high performance blending power that you need. It is without a doubt that oranges are very high in nutrients. It’s high amount of Vitamin C (up to 93% of RDA in one piece!) is really awesome. Vitamin C is important for our health and I cannot stress how you should start eating it right now. One important thing that I would like to remind is the vitamin supplements in the form of pills and tablets would rarely perform as good as vitamins that are consumed in their natural state, that is in fruits and vegetables. In other word, the vitamin itself will not be as beneficial as eating some fruits and vegetables containing that vitamin – though vitamin supplement manufacturers tend to downplay this. Thus, I would like to ask all of you my dear readers to always eat fruits and vegetables for a better health. If that’s too much, you can always make a smoothie out of it!